The growth of strong style has grown with the popularity of New Japan Pro Wrestling. The influence of strong style can be seen with up and comers in the indies. However, few understand what strong style truly is. The true art form of strong style is the battle of the heart of a man. The will to fight to give it your all. There are several types of strong style the one i will be going over is Japanese strong style (Puroresu). Strong style can be described as a combination of pro wrestling moves with martial arts. Strong style is not just striking as some people would describe it. I have heard some disagree with Strong Style in wrestling and major promotions such as WWE. Some have even stated that they just do not understand it. Hopefully, what you read here may help you with your journey to understanding Puroresu and the style of New Japan Pro-Wrestling. The style developed in 1950s american style wrestling became popular in japan. 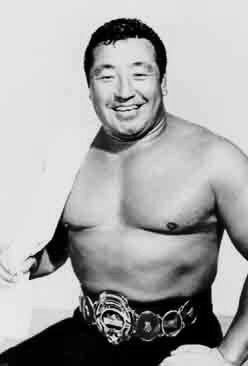 Rikidōzan was a sumo wrestling champion he created JWA (Japan Pro Wrestling Alliance). The first professional wrestling promotion in Japan from 1953-1973. Rikidōzan was murdered in 1963, leaving a difficult decision for the board of executive since Rikidōzan was also the top draw of the promotion. Giant Baba became the next top draw to the promotion and Yoshinosato became the president of JWA. Toyonobori would them start Tokyo Pro Wrestling with Antonio Inoki, who was rumored to be jealous of Baba’s accomplishments with JWA. Tokyo Pro Wrestling did not last very long when the 1960’s came around. In 1960 they were challenged by International Wrestling Enterprise. Inoki returned to JWA in 1967. JWA became part of the National Wrestling Alliance in 1969. 1969, NET( Asahia) starts airing a weekly program for JWA. 1972, Baba and Inoki left to form All Japan Pro Wrestling and New Japan Pro Wrestling. That’s a brief history on how we got to the King of Sports today. Strong style wrestling contains more martial arts style of wrestling. This includes strikes and submissions. These are selected and part of the match over traditional wrestling moves. At times can be confused with “shoot style wrestling”. Strong style is a more natural looking in a ring. However, NJPW has veered a little away from the traditional discipline with stars like Kazuchi Okada and Kenny Omega. By doing so, this allowed the popularity and growth of New Japan. Shoot style wrestling- Professional wrestlers attempt to use full contact moves to increase the excitement of the match. Started in japan’s professional wrestling circuit of 1970s. Japanese strong style pushes the physical limits of sports entertainment. A style that has evolved to become classic, unrelenting, and alluring.